Tree onions, also known as Egyptian onions, Walking onions, Topsetting onions etc (Allium × proliferum, formerly Allium cepa var proliferum) are a very productive perennial onion that grows small onions on top of the flower stalk. 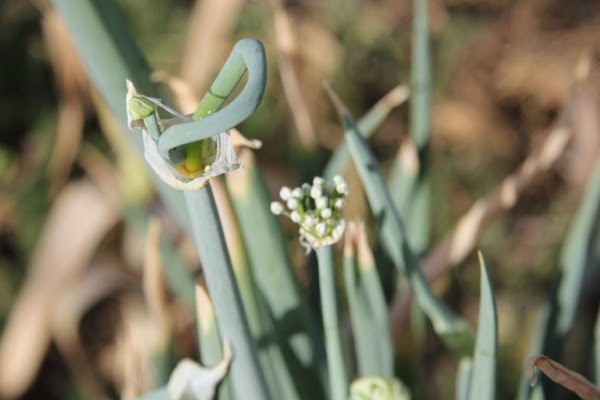 It is meant to be the most hardy of all the edible onions and is not bothered by heat, drought or cold. I wrote an earlier post about them here. 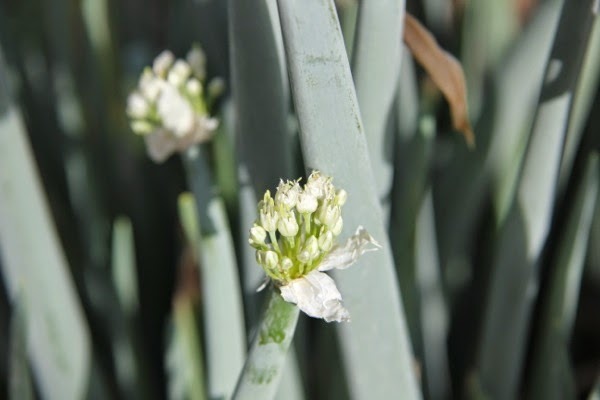 One remarkable thing about the tree onion is that they do not really grow flowers. 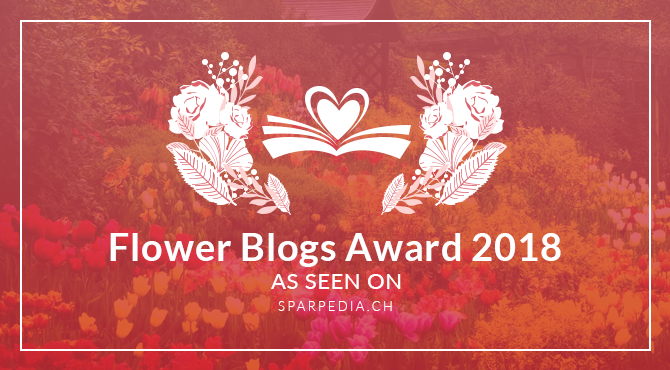 They send up a flower stalk and grow small onions instead of flowers. In this way they are simple to propagate, just break off a small top onion and plant it somewhere. If left alone they will do this by themselves and constantly increase the size of their patch for you. It is this bizarre habit that makes them so interesting to grow, sometimes they will plant their own topsets and 'walk' across your garden leaving an edible onion forest in their wake. Tree onions can also divide under ground. The main bulb, if left alone, will split into a handful of plants each year. The plants have to compete with each other and the resultant plants will never be overly large. If divided these plants can produce many plants in a year or two. By dividing the plants you eliminate competition and end up with more robust and stronger plants. When being grown by topsets all of the tree onion plants are said to be genetically identical. 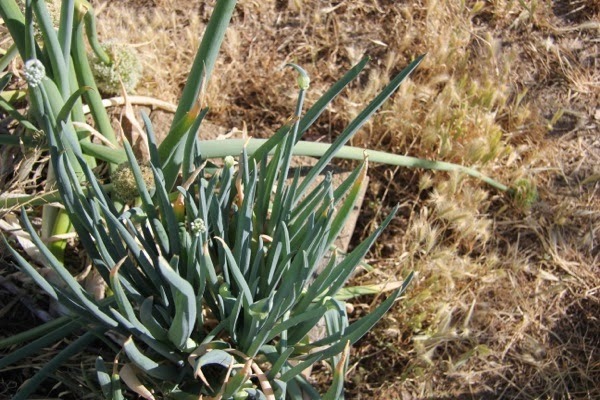 This poses problems if the tree onion is not well suited to your climate or if there is some problem that only genetic diversity can overcome. Tree onion bulbs are not very large, the largest I have seen is about golf ball sized, it would be nice if they were even a little larger. In some climates they may not produce bulbs at all. 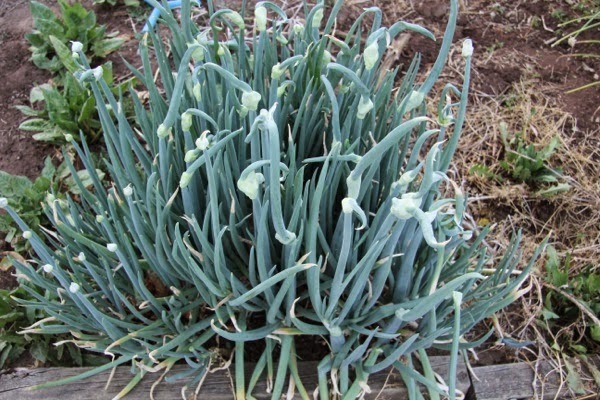 Perennial onions often accumulate a virus load, this virus load does not stop the plant from being edible but often reduces the size of the bulbs. Potato onions that are seed grown are three times the size (or larger) of regular potato onions. This is due to shedding the virus load through growing from seed. 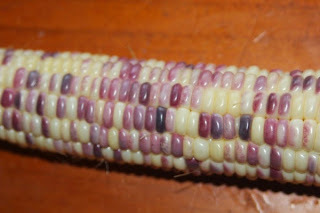 I have started to wonder if something similar to this will happen with tree onions if they are seed grown. Or perhaps tree onions do not have a virus load when grown from bulbils, I just don't know. At present there is only one clone of tree onion in Australia that I am aware of. I am happy to be wrong about this, if you have a different tree onion I would love to hear from you. Overseas they seem to have a handful of types but we don't appear to be so lucky here. Tree onions are good, but if the bulbs were larger they would be far more useful for the cook. Perhaps shedding of virus load would increase the size of the bulbs, perhaps better genetics would achieve larger bulb size, regardless larger bulbs would be better and make tree onions more worth while to grow. Having a few different colours of tree onions would also make people a lot happier as people tend to pick onions based on colour rather than any other trait. I must admit, I see some pictures of the different varieties of tree onion that are overseas and would prefer to grow them than the variety that we have. In some climates tree onions may not produce true bulbs ever, instead they will start to grow a bulb by thickening the base of the stalk but never die down properly even if water is withheld. They just keep on growing. This basal swelling is eaten the same way as an onion bulb and tastes the same, but it can not be dug and stored like a bulb and does not look as good as a bulb. This may be a day length sensitivity issue or something else, either way it would be better if they died to bulbs in every climate. All of these desirable traits (size, colour etc) could be bred into tree onions by home gardeners, at present I know of no one who is doing any tree onion breeding anywhere in the world. I find this odd, but then again perhaps people have better things to do with their time than trying to improve an ancient onion when there are so many great onions already around. Breeding tree onions for something better is problematic in a plant that does not readily produce seed. Luckily tree onions can produce seed, it just takes a bit of work. In my climate the tree onions sometimes grows a few flowers in amongst the bulbils on the flower stalk. Not every plant does this, and they don't do it every year, but they have the ability to produce flowers when conditions are just right. As the bulbils grow they drain all the energy from the flowers causing them to wither and drop. If left alone to do their own thing they can not produce seed. I have heard of a few people carefully removing all the bulbils to allow the flowers to develop and then trying to obtain seed. This process works with garlic to obtain true garlic seed so there is no reason that it would not work with tree onions. I know that at least one person who was successful in this and had some of the resultant seed germinate but am not aware of the outcome. I have a feeling that this project was abandoned as more pressing matters arose. I also know of one type of tree onion known as Finnish air onions that regularly produces viable seed as well as topsets. Unfortunately these are not yet present in Australia and I have not been able to track down anyone who can send me some seed. Perhaps some day we will have access to these amazing plants, but for now we have to work with what we have. I have had some strange and amazing things happen with my perennial onions over the past few years, I assume that the extreme weather here and me not dividing them often enough has stressed them somewhat and made them reconsider their stance on not flowering. This year, just like last year, something odd has happened in my garden. In among my tree onions I have a few plants which sent up flower stalks that had a lot of flowers. Some of these flower heads had a few tiny bulbils (which I have since removed) and others had no bulbils at all. I have grown tree onions for years and never seen this before, I have asked around and no one else seems to have seen this either. I normally see a few flowers here and there, but this year some heads are pretty much completely covered in flowers and have no bulbils. Interestingly the flowers seem to be covered in their own separate paper covering to any bulbils that are present. Sometimes there are a few separately covered flower sets on the same stalk. Tree onion flowers, strangely no bulbils at all! Initially I wondered if these were tree onions or if somehow a stray seed of a bulb onion blew in with the wind or something. There is absolutely no question, these are tree onions flowering. Some plants are flowering and they have a base bulb connected to another bulb (ie the underground bulb split into several bulbs) that is sending up bulbils as normal. Some plants sent up a flower stalk which grew normal bulbils, some of these bulbils sent up another flower stalk which only has flowers. The flowers appear to be complete and should have the ability to set viable seed. Some of these flowers have formed immature fruits that appear to be ripening and look as though they will produce good seed. I plan to protect these flower heads, if they produce viable seed I plan to collect it and try to grow it. At this stage I do not know how this will go but have a good feeling that I should at least get a handful of viable seed to grow. Tree onions are a spontaneous hybrid between Allium cepa (bulb onion) and Allium fistulosum (spring onions), being an interspecific hydrid I do not know what pollen they would require in order to produce viable seed. Perhaps they will pollinate themselves, perhaps they need something else to pollinate them, I will never know for sure. 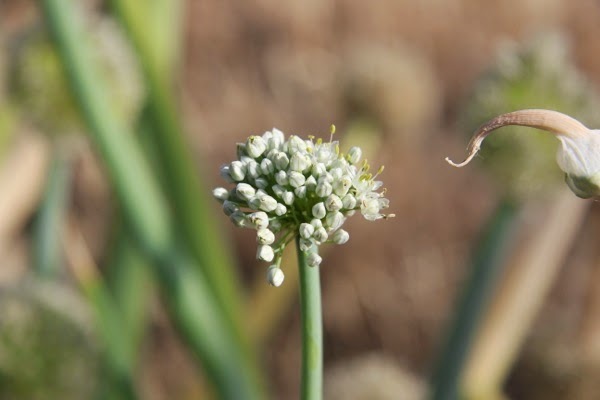 I have about a dozen small flower heads on the tree onions at the moment, these are at different stages of development. Assuming that tree onions can pollinate themselves some flowers should shed pollen at the right time for the others to be receptive to it. There are plenty of pollinators around here ranging from honey bees, over a dozen species of native bee, various wasps, tachinid flies etc so pollination should not be an issue. There are plenty of other alliums flowering at the moment which may be able to donate pollen if the tree onion flowers prove to be self incompatible. Currently I have tree onions, everlasting onions, potato onions, a few bulb onions and spring onions all flowering. There are probably a few other alliums flowering now but it is doubtful that anything else would be compatible with tree onions. If any seeds grow I do not know what the resultant plants will be like. They may be similar to the parent tree onion, they may have poor traits of each parent and not be worth growing, or they may be superior to the parent plants in some way. 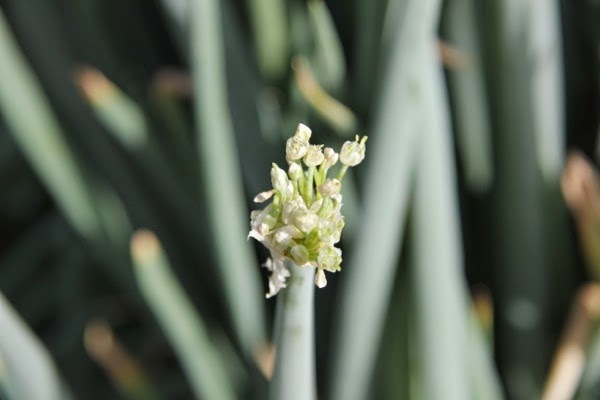 Considering that the tree onion is an interspecific hybrid each seed grown plant should be genetically different from each other, given that seed grown plants may have pollen from some other allium increases the chances of the seed grown plants being very variable. Only time will tell on this one but it is all very exciting. I sell tree onions as well as other perennial vegetables and a few other things on my for sale page. If I end up growing one of these tree onion seeds and it turns out to be something remarkable I may also sell them, but that is probably a few years off.